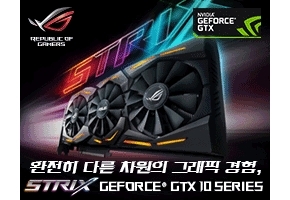 cdkeys 에서 구매한 던워3 키받으신분? 등록되시나요? 분명 월드와이드라 믿고 구입했는데 배신감느껴지네요. 전세계구독권이고 공식한글화까지 됐는데라며 안심했지만 역시 세가는 세가네요. 안되면 환불이라도 빨리 해줬으면 좋겠네요. 그냥 스팀에서 구매해버리게. We apologize for the inconvenience with your order. Warhammer 40.000 Dawn of War III 3 PC doesn't seem to work in Korea. Since it's not working for you, I've gone ahead and forwarded your request to have your order refunded for the unused key. We will get back to you once the refund is processed. This usually takes 24-48 hours. We truly appreciate your patience. Looking into this, it appears that Dawn of War III may be region locked in Korea. A good way to judge whether a key will be region restricted is to check whether it is available to you for purchase on Steam. If you can't purchase it there, you will most likely receive a region restricted key from us. I apologize for the inconvenience. Please let us know if we can help with anything else! 험블에서도 월간구독권 10%할인에 넘어가서 사지마세요. 문의하니 등록해봐야 알수있다네요. 지역제한 걸어둔곳은 그나라전용키로 등록해야되고 제한없는 국가는 기본인 US꺼로는 등록되겠네요. 이게 월드와이드 같네요. 일본 한국 홍콩 중국등 아시아쪽이 빠졌습니다. 어이쿠 구독권이 아주 갈기갈기 찢어졌네요. 대충 열댓개로 갈리다니. 예전 아틸라 구입했을 때, 월드와이드라고 적어두고 구독권 갈린 기억이 새록새록 나네요. 그 때 예판 최저가 구입했던 외국 사이트에서 환불해준 후 저의 결제를 완전히 막아버려서 그 사이트는 버렸었던 기억이.... 암튼 진리의 세가!